Gig-ready power, tube-soaked tone and modern reliability. For those who've been pining for an amp with modern reliability and the heart of a vintage, tube-driven rig, the Markbass TTE 801 Randy Jackson signature head is for you. 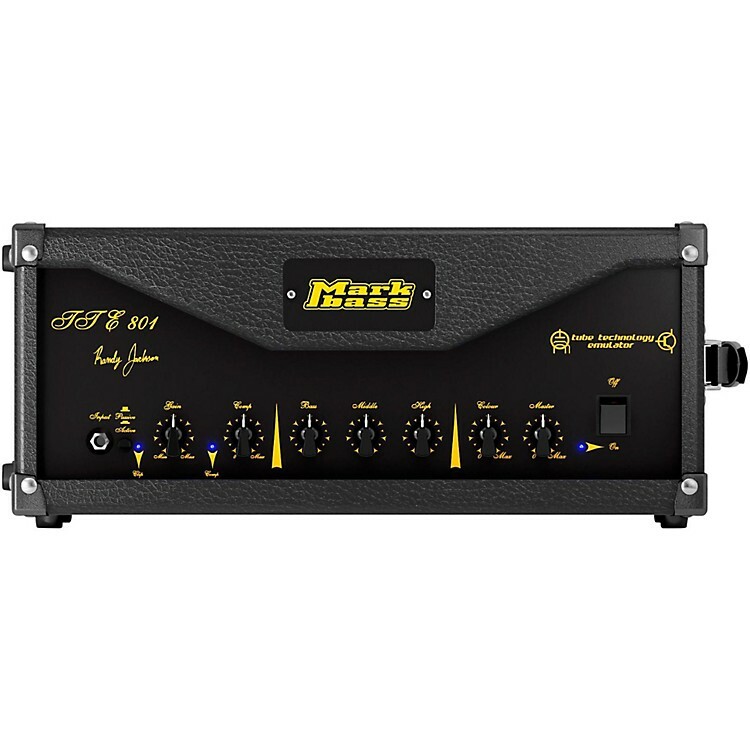 With a 12AX7-driven preamp and 12AT7 compressor paired with a solid-state power amp featuring Markbass' Tube Technology Emulator, the TTE 801 delivers the best of both worlds. Also, with 800W of power, 3-band EQ, Colour control, passive/active EQ switch and more, the TTE 801 is a road-ready powerhouse that'll deliver phenomenal tone in the practice studio and on stage. Dimensions: 18.9 in. x 7.87 in. x 10.24 in.